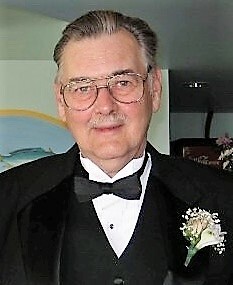 Gene A. Welsch, age 76, of Sioux Falls, SD passed away Wednesday, January 23, 2019. There will be a time for family and friends to gather from 4:00 PM - 7:00 PM, on Thursday, January 31, 2019 at Barnett-Lewis Funeral Home, 901 South Minnesota Avenue Sioux Falls, SD. There will not be a public funeral service to attend. Gene, son of George Henry and Bertha La Vaughn (Barnhart) Welsch, was born September 19, 1942 in Wilkinsburg, PA. Gene attended Wilkinsburg High School and then went to the Pittsburgh Institute of Aeronautics (PIA). He graduated as an Aircraft Mechanic (A&P) in November, 1962. Gene was married to Mary Ellen Capcara on August 12, 1967 in Munhall, PA. They moved to Sioux Falls, SD where both of their children, Michelle and Charlotte, were born. He loved motorcycles, airplanes, and his children. He was a very smart mechanic and extremely involved as a parent. He was proud of the time he spent helping at swim meets for the Snowfox swim team, coaching softball, watching basketball, track, volleyball, band, and Civil Air Patrol events. Gene is survived by his children: Michelle (Matt) Wenge, Charlotte (Craig) Browning; two grandchildren; his brother: Walter Welsch; and his former wife: Mary Ellen Welsch.